The Hefty design of the truss lends itself to the professional user, with 17 upgraded tools and a low profile sheath. The handle construction is one single piece, allowing for additional strength in a slimmer design. 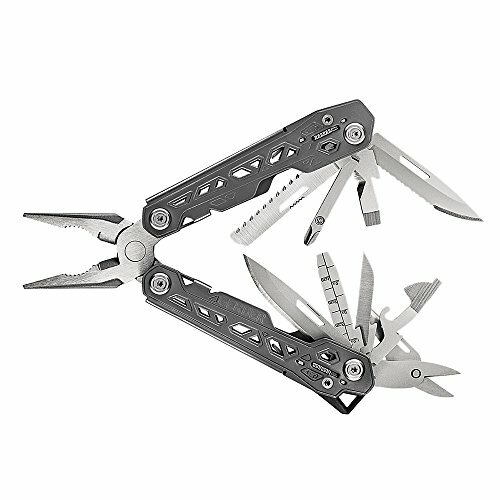 New to the truss is a wire stripper, medium flathead driver, awl, file, and ruler but the benchmark features remain: all outboard tools, all locking tools, and spring-loaded jaws.